You may still be able to book by calling the hotel at 703-416-1600. 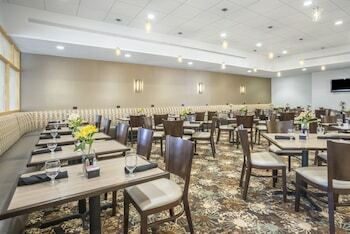 Located in Arlington (Crystal City), Crowne Plaza Crystal City-Washington, D.C. is within a 10-minute drive of Arlington National Cemetery and Washington Monument. 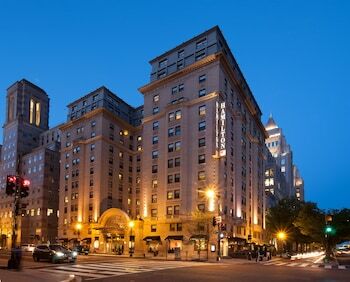 This hotel is 3.4 mi (5.4 km) from National Mall and 4.1 mi (6.6 km) from White House. Make yourself at home in one of the 308 air-conditioned rooms featuring flat-screen televisions. Complimentary wireless Internet access keeps you connected, and cable programming is available for your entertainment. Partially open bathrooms with shower/tub combinations feature complimentary toiletries and hair dryers. Conveniences include phones, as well as safes and desks. Enjoy American cuisine at Veranda Cafe, one of the hotel's 2 restaurants, or stay in and take advantage of the room service (during limited hours). Snacks are also available at the coffee shop/café. Quench your thirst with your favorite drink at the bar/lounge. 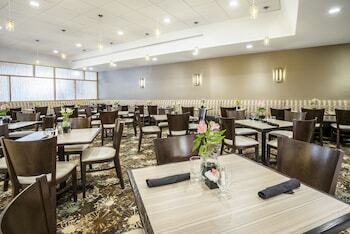 Cooked-to-order breakfasts are available daily from 6:30 AM to 10:30 AM for a fee. Featured amenities include a 24-hour business center, complimentary newspapers in the lobby, and a 24-hour front desk. Planning an event in Arlington? This hotel has facilities measuring 3000 square feet (279 square meters), including conference space. A roundtrip airport shuttle is complimentary at scheduled times. 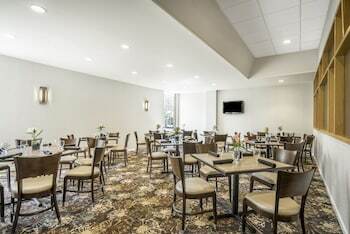 Best rates found for Crowne Plaza Crystal City-Washington, D.C.
Crowne Plaza Crystal City-Washington, D.C. is a 3.5-star hotel located at 1480 Crystal Drive, Arlington, VA 22202, US . Its nightly price usually falls between $65 per night and $354 per night, excluding tax, depending on room category. $65 per night found for a 2 DBL BEDS NONSMOKE Special1 room type. 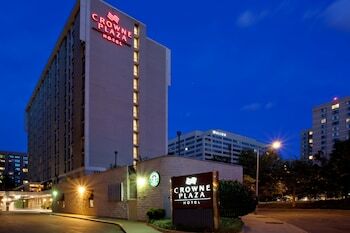 Crowne Plaza Crystal City-Washington, D.C. sells rooms through sites like Room 77, Expedia, Hotels.com, GetARoom, and many others. Room 77 searches across dozens of different sites to find the lowest discount rates available. The lowest rate we've seen over the last few weeks was found on Room 77. In 1% of the cases we surveyed, all sites offered the same rate. You can compare real-time rates from all of these sites on Room 77. Room 77 is the only hotel shopping site that includes special discounts like AAA, senior, government, military, and corporate rates.